At your service! Kimba is just too proud to be homeless. He's the rare kind of guy that wants a few dates first before he gives you his heart. He bonds deeply and is very affectionate. He loves his blankets and cuddles up with them nightly. If you have a large female, that'd be a bonus. He would be a loyal, protective family member and is very obedient with his person. 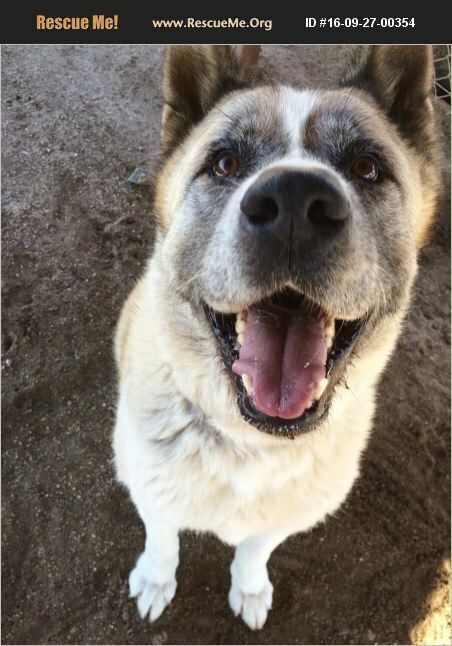 Meet him at #AkitaRanch 28930 Ellis Ave, Romoland, CA (open 10-5 7 days) or email apassionforpaws@gmail.com for adoption information.